Just the beginning of what will likely be an endless list of tuned Evoques. The only thing better than a Range Rover Evoque (and there aren&apos;t many) is a tuned Range Rover Evoque. If you don&apos;t agree with that statement, then you might want to stop reading now. A chunk of the Evoque&apos;s popularity can be attributed to the tons of tuners who put the vehicle under the knife. The resulting Evoques became faster, prettier and all around more awesome. See the beauty that is a surgically modified Evoque in the pages ahead. Marangoni took the 2011 Bologna Motor Show by storm with their aftermarket Evoque offering. The Marangoni Evoque sits on a shiny set of red OZ Racing wheels and comes equipped with a pumped-up engine producing 300hp (up from 240hp). It was easy to lose Hamann Motorsport in the chaos that was the 2012 Geneva Motor Show. The tuning house debuted five different models, one of which was this tuned Evoque. A new body kit and interior styling options complemented the Evoque&apos;s upgraded engine. The 2.2-liter TD4 and 2.2-liter ED4 both received bumps of 34hp and 48lb-ft of torque, and 42hp and 41lb-ft of torque respectively. German aftermarket firm Arden gave the Evoque a personalized makeover, doing more than just slapping a new body kit onto the award-winning SUV. 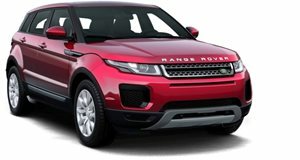 The Arden Evoque comes with a handmade stainless-steel grille, remote-controlled sidebar lighting and a new ECU that gives the Evoque 25 more horsepower 37 lb-ft of torque. Loder1899 has successfully turned the Evoque into a beautiful beast with its Egyptian God-inspired tune job. The Horus Evoque sits on a set of 23s, has a new body kit and (of course) an upgraded 2.2-liter diesel engine that spits out 220hp and 369lb-ft of torque.